my puppy. 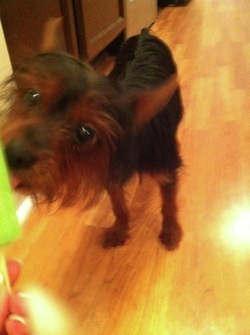 eating a popsicle. I already know your first question: What's with the popsicles? See what I'm proud of. Check out some other awesome sites. Stick around - there'll be more on those popsicles later.